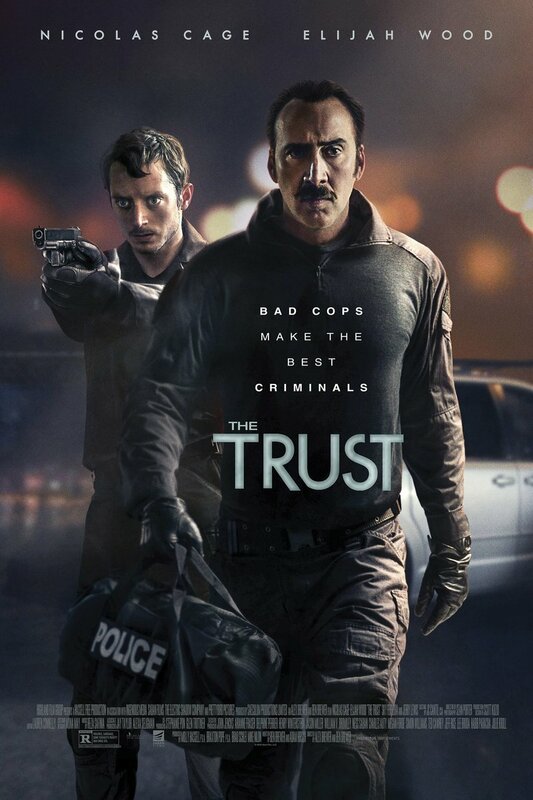 The Trust DVD and Blu-ray release date was set for August 2, 2016 and available on Digital HD from Amazon Video and iTunes on May 13, 2016. Two low-level police officers, who work in the Las Vegas Police Department evidence room, start an off-the-books investigation after coming across a extremely high receipt tied to a drug bust. The police officers, David Waters and Jim Stone, decide to track down the money and investigate a heroin dealer. Eventually, beneath an apartment building, they find a mysterious bank vault full of the dealer's drug money. Waters and Stone must decide whether to turn corrupt and keep the money or stay clean and arrest the criminal in this intense buddy-cop thriller.